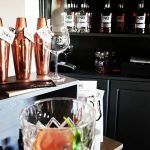 Tucked away in an unassuming farmyard near Tantallon Castle near North Berwick, you’ll find a hidden gem – NB Distillery, a purpose-built and eco-friendly distillery, opened in April 2018. 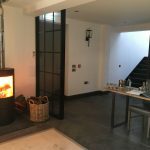 When the doors open you feel like you’ve been transported into a high-end boutique or spa, resplendent with parquet flooring, hand-made furniture, candles and wood burning stoves. We booked the Connoisseur Tour and Steve Muir, co-founder was there with the perfect welcome – an NB&T. There were 11 of us on the tour, and we were amazed when Steve showed us the humble beginnings of NB Gin – a modified pressure cooker, some central heating pipes and a big basin. Like many of the producers we meet Steve and his wife Viv started out on their gin-making journey as a hobby but then friends, family and the local community loved the gin so much they went into full production in 2015. Steve and Viv still have day jobs and run the Distillery with another Steve (Viv’s brother). 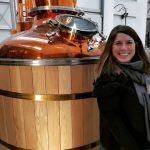 We were taken into the guts of the distillery, and what struck us was the size of the rum still, which towers over their 120-litre bespoke gin still. The story of the stills is an interesting one, which we don’t want to spoil, in case you can make it along for the tour – (we highly recommend you do). NB Gin has travelled a long way from its North Berwick home. It was the chosen gin for the Queen’s 90th birthday, and a chance meeting in a London bar lead them to become the gin of the Brit Awards. 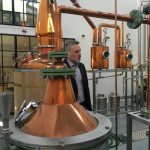 NB has also broken into the US market, and to fulfil this scale of orders, the 120-litre gin still works incredibly hard, producing batches of up to 15,000 bottles at a time. After learning about the process of distillation, we headed upstairs to the tasting room, which has spectacular views of the East Lothian countryside. 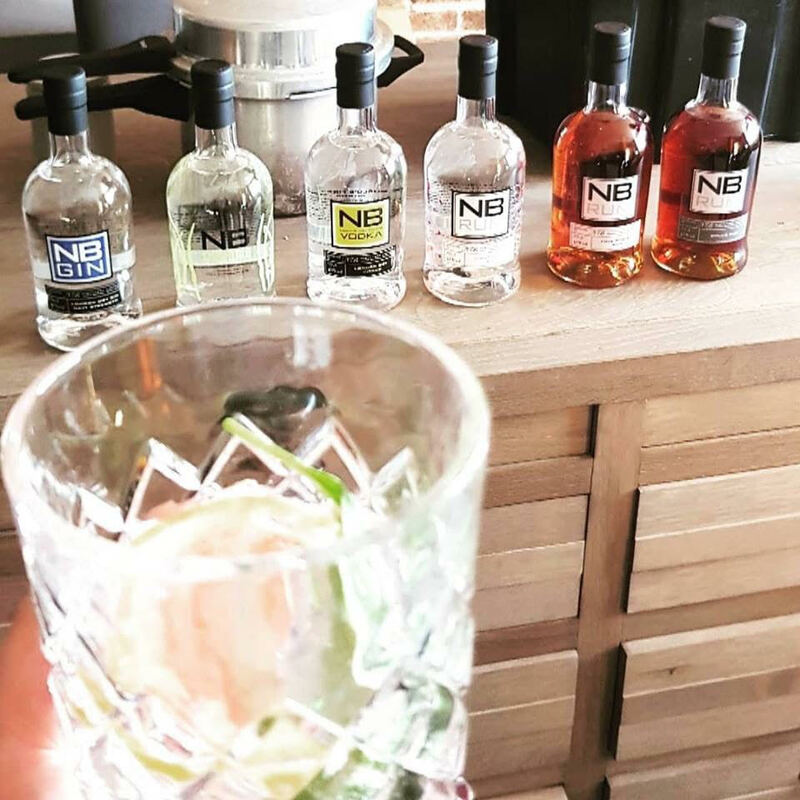 Steve guided us through tastings of the NB range- NB London Dry, Navy Strength and the newest addition to the family – Samphire (a particular favourite). Due to the harvesting of the samphire tips, which is done by hand locally – this is a real labour of love and small batch, only available to buy from the Distillery. We then tried the London Dry Citrus vodka, and rum – oh and had some delicious locally-made canapés. The team at NB are keen to use as many local businesses to make the things they can’t – so you can also buy North Berwick crafted candles and chocolates. We can’t write this without mentioning Rhona, who was there on hand to support Steve, and a great character! We had a super afternoon with some really interesting people we met on the tour. If you’re planning a visit, you probably won’t want to take the car. We took the train from Waverley and a taxi costs just £8 from North Berwick station to get you to the Distillery. There is a bus, but please check the website for more details on transport links.